The Jets have agreed to sign wide receiver Terrelle Pryor, reports Calvin Watkins of Newsday (Twitter link). Ian Rapoport of NFL.com first indicated Pryor was nearing a deal with New York. Pryor didn’t exactly pick the right time to hit the open market, as he’s coming off a lost campaign with the Redskins. After starring with the Browns in 2016, Pryor inked a one-year deal with Washington after reportedly rejecting offers from Cleveland. 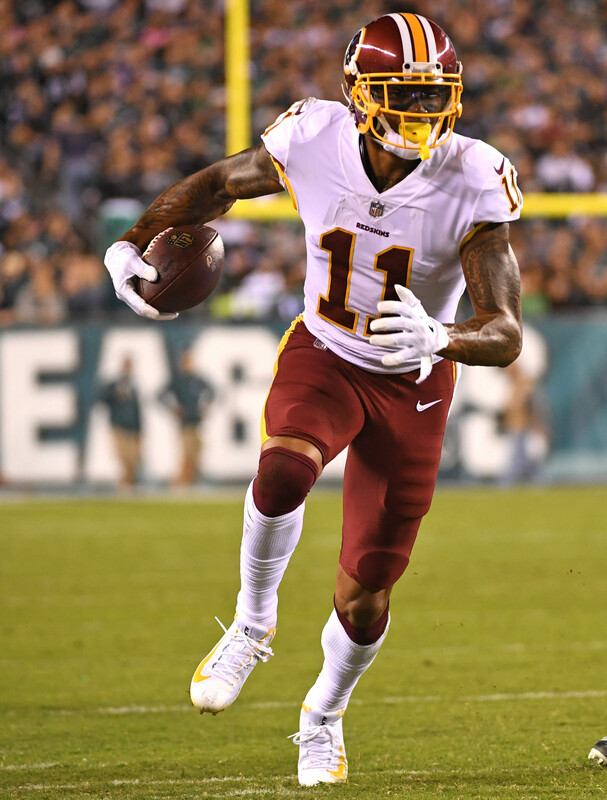 Before landing on injured reserve in November, Pryor managed only 20 receptions, 240 yards, and one reception in nine games (two starts). But Pryor wowed during his first full season as a wide receiver, putting up an astounding 77/1,007/4 with the Browns in 2016. That upside allowed Pryor to create something of a market for himself following a disastrous year in the nation’s capital. The Browns and Rams each expressed some level of interest in the 28-year-old, but Pryor was deciding between the Jets and Seahawks as of Wednesday. New York was clearly looking at affordable wide receiver additions, as the club met with both Allen Hurns and Charles Johnson over the past week. With Pryor on board, it appears less likely the Jets will pursue either of those options, as the club also pass-catchers Jermaine Kearse, Robby Anderson, Chad Hansen, ArDarius Stewart, and Quincy Enunwa on their roster. Despite his down 2017 output, Pryor should be in line to start for Gang Green. Anderson, for his part, has been arrested twice this offseason and could be facing a league-imposed suspension, while Enunwa is recovering from a serious neck injury. 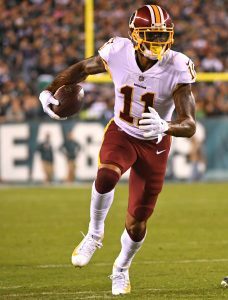 Given that Hansen and Stewart — both of whom are entering their second NFL seasons — don’t offer much experience, Pryor could be in line for starter’s reps. And given that New York played 63% of its offensive snaps with three wide receivers on the field a season ago, Pryor should see plenty of action, regardless. With both Pryor and fellow wideout Mike Wallace coming off the board today, the second-tier of free agent receivers is rapidly thinning. At present, the best pass-catchers who remain unsigned include Hurns, Jordan Matthews, Eric Decker, Brice Butler, and Dontrelle Inman. 20 receptions, but one reception? Which one is it? That’s obviously supposed to be TD. I think McCown will get hurt and Bridgewater will start. Bridgewater is pretty good when healthy so can’t see him bit starting either way some point and if he or when he does I see Pryors numbers increasing. Nothing against McCown abs I know he was solid last year but Bridgewater is just a better QB in my opinion. I really like Pryor and I know he has a bad year last year but I do think either way he will have a decent year in NY. The Jets night not compete this year but I think they are in good shape with the 3rd pick and some decent young talent on their roster. I’d keep Bridgewater around and not rush whatever young QB you draft until you have all the talent around him he can get though because while they do have some young talent they do have a lot of holes still too. Either way this team shouldn’t be down for too long and I have actually liked the moves they made this offseason even though they missed out on some of their top choices. I guess Russell Wilson couldn’t convince him to sign in Seattle. Wilson’s gonna be running for his life a lot this season. The two are unrelated, but Wilson is not gonna have as much time in the pocket as what ever guy is starting for the Jets this season. And if you don’t think that matters to a pass catcher, think again. And stop shaking your head! Pryor’s diversity would serve him far better in the CFL and he may have to test those waters sooner than later if he makes no impact with the Jets. That’s fine. Hate from afar, we like these moves. Acting like the Jets roster isn’t drastically improved because we signed 3 former Browns who were solid despite the rest of their team is pure goofiness. At least the Browns play the QBs that they draft. The Jets used a second round pick on Hackenberg and he hasn’t even taken a snap, and likely won’t in a Jets uniform either. For all the criticism and mockery that the Browns get for passing on good QBs and drafting bad QBs, at least they don’t take a QB with a high pick only to never play him.